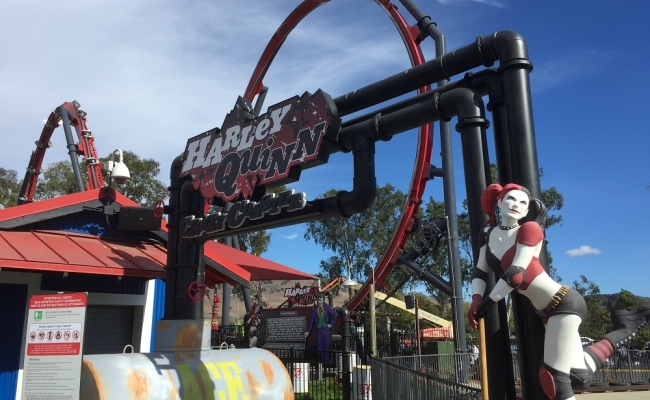 In late June, observant park visitors noticed a set of painted white tire tracks leading to a construction stake placed in the large grassy area that formerly housed the Invertigo coaster. Written on the stake was “2018” on one side and “Project SR1” on the other. 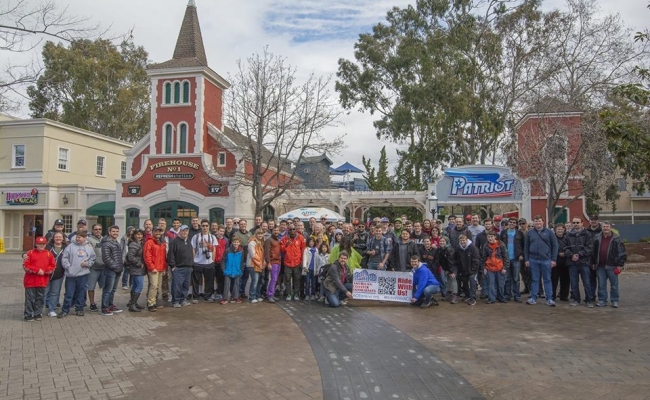 The teaser comes at a time when park owner Cedar Fair applied for a permit for a 110.5-foot steel roller coaster. The permit was approved by the Santa Clara Architectural Committee on July 5. 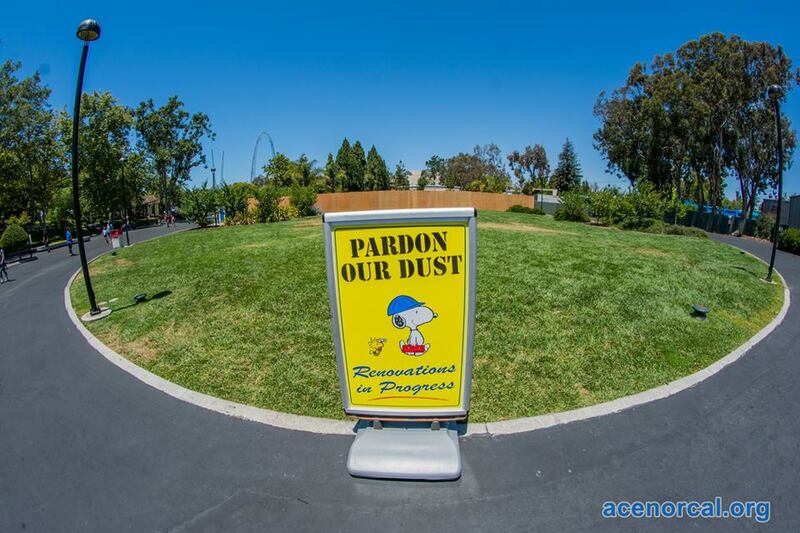 Soon after the approval, construction walls were erected around the site, with only a sign stating “Pardon our dust” greeting guests. The development is a welcome sign for park fans, who have been waiting for Invertigo’s replacement for nearly a decade. The inverted boomerang, manufactured by Vekoma, opened in 1998 in the County Fair area of the park, replacing the longtime Sky Whirl attraction. 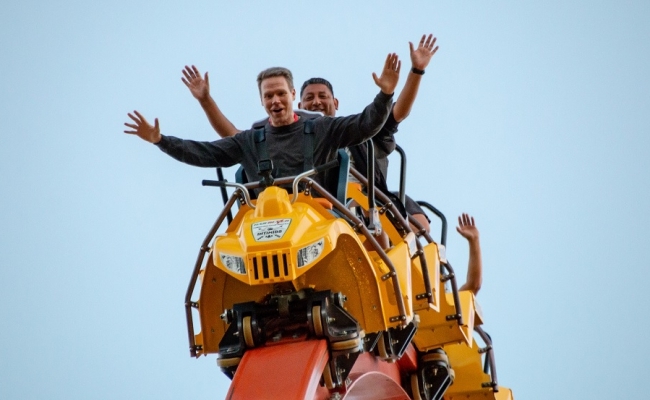 After being closed for most of the 2010 season due to mechanical issues, Great America announced Invertigo would be removed for the 2011 season for a “new opportunity.” The ride reopened at Dorney Park in 2012 as Stinger. Since 2011, Invertigo’s former location has been marked by a large grassy area used for special events, such as Free Friday Family Flicks. That will change in 2018, when a new steel coaster replaces the long-removed Invertigo. Expect an announcement in late August, as that is when Cedar Fair typically makes announcements for its parks in the following year.